Washington, D.C. – U.S. Senator Joe Manchin (D-WV) sent a letter to Viacom President and Chief Executive Officer Robert Bakish urging him to reconsider production of ‘West Virginia Wilder’ and visit West Virginia for a tour of the real West Virginia. 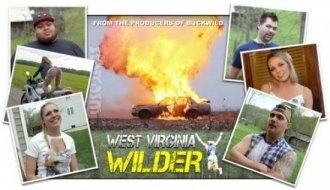 Unfortunately, Viacom which aired Buckwild does not have a contract to air WV Wilder. They are planning a Kentucky based series shot near Pikeville in July. "Wilder" executive producer J.P. Williams (who produced "Buckwild") said in a statement that "we respect Senator Manchin, but he is obviously just looking for attention again." Williams says Parallel Entertainment will announce next week the network that will show the series. After watching the trailer for ‘West Virginia Wilder,’ I feel compelled to speak up on behalf of West Virginia and West Virginians out of a deep sense of concern. I believe that you can make a compelling show about the people of West Virginia that does not play into vicious stereotypes, and I stand ready to help you do just that. I invite you and the entire production team to join me for a tour of my home state and the people I’m proud to call my friends and family from the southern coalfields to the Potomac Highlands and everywhere in between. But first, let me give you some context about what it is we’re dealing with in West Virginia right now. The current drug overdose rate in West Virginia is higher than any other state in the union. In 2016, we lost 52 people per 100,000, more than double the national average of 19.8 overdose deaths. The opioid epidemic is costing our state almost $9 billion per year, 12% of our little state’s GDP. Despite these challenges, West Virginians are doing what we always have done – coming together to address this challenge the best we can. My friend Matt Boggs is a perfect example. He battled through his own addiction, got clean, and now dedicates his life to helping others navigate that difficult journey. That’s a compelling story. If you want excitement and adrenaline, I’ll take you on a trip down our world class whitewater on the Cheat, the New, or the beast of the east – the Gauley in the fall. If you want natural beauty and wonder, I can show you the rhododendron-dotted hillsides that welcome spring to Cooper’s Rock or cliffs that jut above Summersville lake and dare you to jump off on a hot summer’s day. Our mountains wrap around you and our rivers tell a story as old as time. The views from the New River Gorge will take your breath away and when you hike up Dolly Sods you swear you could touch the sky. Visit our Strawberry Festival in the spring or our Buckwheat Festival in the fall. My neighbors will share our famous pepperoni rolls and teach you to cheer on our Mountaineers. Our Thundering Herd will remind you of the resiliency of the human spirit and show you just how strong West Virginians really are. West Virginians are tough but we’re compassionate. With one of the highest rates of Veterans per capita, we’re the most patriotic state in the nation. West Virginia’s coal mines have mined the coal that powered our great nation to the super power we are today. But we have experienced tremendous loss as well, and we are a resilient people who always come together to carry on. Instead of re-making that same sad show about stereotypes, come see for yourself what we’re like, what makes us tick, and why so many people come to visit the Mountain State. You could even turn it into a show. Now that would make for some must-see real TV." 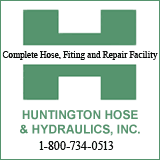 Manchin was governor when Warner Bros. in 2006 shot portions of "We Are Marshall" on campus and near Huntington. He helped persuade filmmakers to stay in WV an extra week. His actions pumped new energy into the WV Film Office, which assisted producers with finding locations. Current Governor Jim Justice closed the office.